When it comes to the strongest possible bond, have you traditionally trusted rivets? Create a bond to match without the stress points. Use high strength bonding tapes and NovaBond Surface Primer. 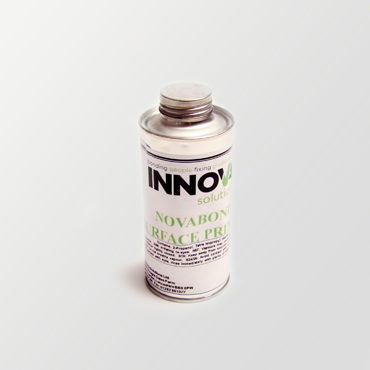 NovaBond Surface Primer helps high strength bonding tape form an even more powerful bond. In fact, using the correct primer can increase final bond strength by up to 50%*. The primer is solvent based and specifically formulated for the NovaBond SignFix range of high strength bonding tapes, though you’ll find it’s compatible with most advanced acrylic adhesives. It works by chemically altering the substrate surface, increasing the surface energy and making it more receptive to adhesive bonding. You need no specialist equipment to apply it, it’s fast acting and easy to use. Open the container carefully and release pressure slowly. Apply NovaBond Surface Primer to the surface(s) you intend to bond using a clean, dry, lint-free cloth. The solvent should ‘flash off’ (evaporate) in around 10 seconds. Dry any over-wet areas and leave the primer to act for 5 minutes prior to bonding. Safety information: Occasional skin contact with NovaBond Surface Primer should have no adverse affect. Avoid prolonged soaking or repeated contact. Please note: The above guidance does not constitute a Material Safety Data Sheet (MSDS). For handling, storage, composition and safety information please ensure you have read and fully understood the NovaBond Surface Primer MSDS.